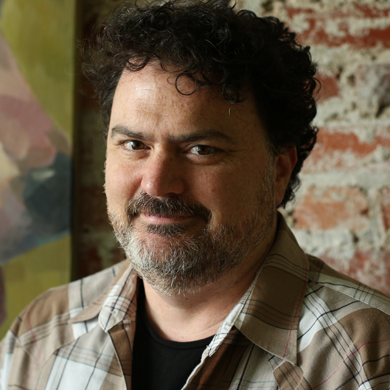 Tim Schafer is the President and CEO of Double Fine Productions, a San Francisco-based video game developer, makers of many critically acclaimed games including Psychonauts, Brütal Legend, Costume Quest, Stacking, Kinect Party, The Cave, and Headlander. Tim also launched the record-breaking, multi-million dollar Kickstarter project, Double Fine Adventure (aka Broken Age), which inspired a new era of crowd-funded indie titles. Prior to Double Fine, Tim was a Project Leader at LucasArts Entertainment Company, where he was responsible for several classic PC adventure games, including Grim Fandango and Full Throttle. Tim also co-designed Day of the Tentacle, and served as a writer and assistant designer on The Secret of Monkey Island 1 & 2. Tim is currently working on the much anticipated sequel, Psychonauts 2.